Interview with Artist Dan Parent – Planet Comicon 2015 – WORST. COMIC. PODCAST. EVER! Dan Parent is a comic book writer and artist best known for his work on Archie Comics. Dan started working at Archie Comics soon after graduating from the Kubert School and he has drawn all your favorites; Archie, Betty, Veronica, Jughead, Cheryl, Sabrina … in other words the whole gang. The amazing thing is that Dan has also helped breathe life into Riverdale with the addition of new characters. 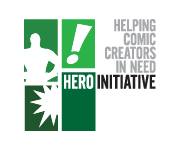 Chief among those characters is Kevin Keller, introduced in Veronica #202 in 2012. 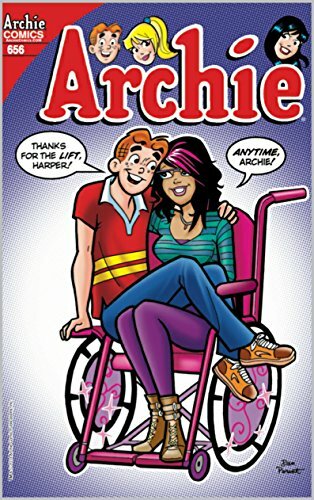 Kevin made headlines for being the first openly gay character in the Archie Comics universe. For the book Kevin Keller, Dan was presented the GLAAD (Gay & Lesbian Alliance Against Defamation) Media Award for Outstanding Comic Book. 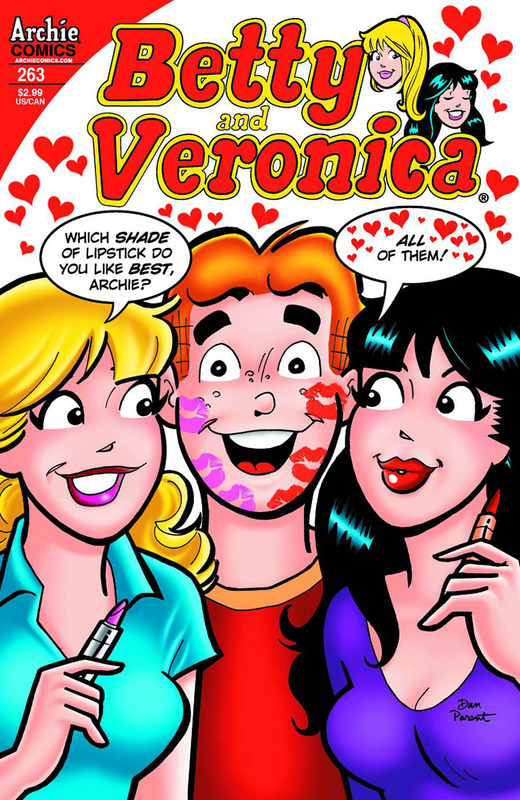 In 2014, Dan introduced another new character to Archie in the form of Veronica’s cousin Harper. Harper is a fun young woman and perhaps a bit more easy to relate to than Veronica. While Harper utilizes a wheelchair, that no more defines her than being gay defines Kevin. While those qualities are the tags that people use to put others in a pigeonhole, Dan doesn’t allow it. The issues that may arise from these differences are dealt with in the stories but soon, we see that these are kids just like everyone else. They have strengths and weaknesses and friends and fun times. Dan was kind enough to share a bit of his time with us on Sunday at Planet Comicon. Listen to the interview to find out who Dan loves to draw and who he really hates drawing! 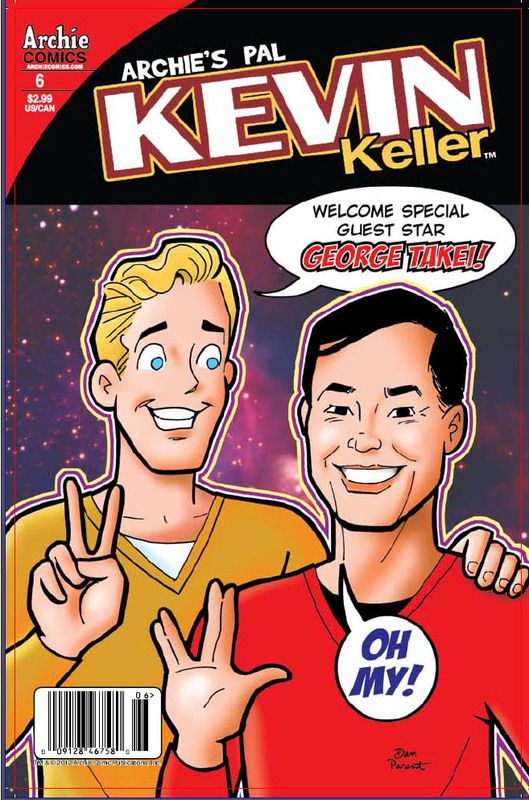 Here we have covers by Dan from Betty and Veronica, Kevin Keller with George Takei and Archie 656 with the first appearance of Harper Lodge. Find out more about Dan and his work by following some of the links below. Dan’s website with information about his books and commissions. Thanks to Dan for speaking to the Worst. Comic. Podcast. EVER! I was thrilled that he came back to Kansas City this year as he is a big hit whenever he is in town. If you enjoyed this interview and would like to hear more, be sure to head to our WCPE Interview page. Also, be sure to get updates by liking us on Facebook or following us on Twitter.